When investing in new or used robots, it is essential to plan for future expansion or changes. Planning for future is not always straightforward, one of the first step will be to outline the concepts, then review with an expert in robotics or the project manager in charge of your project. 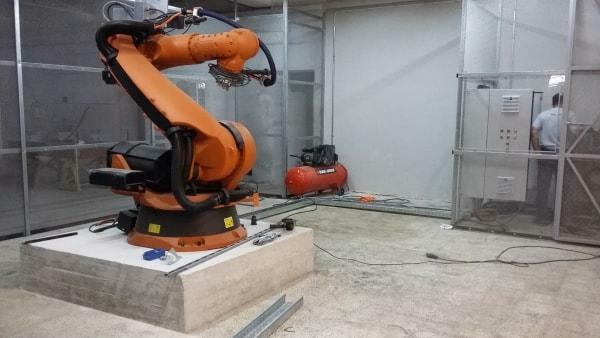 The two main considerations for selecting a used robot will be payload and working envelope.The two main considerations for selecting a used robot will be payload and working envelope. Robot payload is the weight a robot arm can lift including the weight of the end of arm tooling and the working envelope and a work area is the reaching space. Therefore, the configurations, axes or degrees of freedom will influence its working envelope. Thus, when these features are equally present on the used robots, it will give you the maximum benefit. Clean, prepare and paint used robots with a 2-part epoxy paint for extra protection from the outside. Check backlash and repeatability of all axes to re-certify to the original specifications. Replace any components that don’t meet the specifications including gear boxes, motors, and cables. Look for any rusted part which is very common in used robots and replace them with a new one. Conduct a full preventative maintenance check, changing grease and controller batteries. Add water resistance and cooling system in the robot to increase its lifeline. Software package depending on the client’s specifications or applications. Install the latest and genuine software to avoid malfunctioning. Hours of operation for a robot are not necessarily the same as the robot wear and tear. Another element to consider is how to program the robot, i.e. how smoothly the robot performed in its previous application. It is important to confirm whether or when the robot’s motors/gearboxes were changed, because the motors and gear boxes are typically the most expensive components that will fail on a robot, starting with the wrist (least expensive) to axis one, or base gearbox and drive motor (most expensive and time consuming to replace). In addition, don’t assume that your used robot will automatically come with the End-of-Arm tooling. We can provide and help you to find a suitable tooling according to your specific applications.